ASAP provides QuickBooks Online subscriptions at an affordable rate, and Non-profits receive an additional 25% discount on their QuickBooks Online subscription through ASAP. 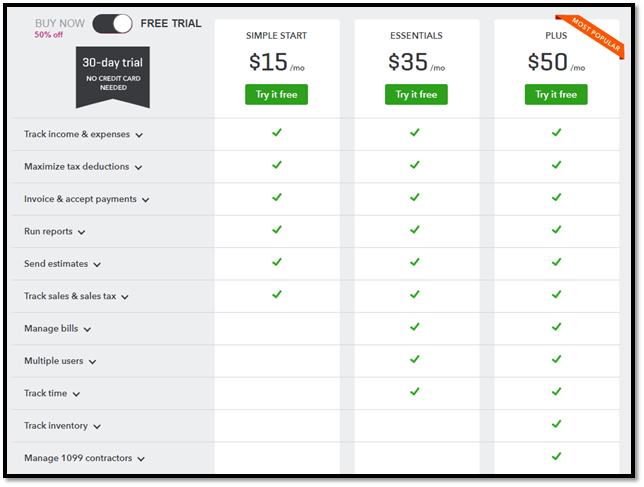 Unlike Intuit, the discount is not offered for a short time up-front, but rather for the life of the subscription (assuming Intuit does not introduce any QuickBooks Online price increases). You may purchase a QuickBooks Online Plus subscription through ASAP for $45 a month, and a QuickBooks Online Essentials subscription through ASAP for $30 a month. Non-profit users may purchase a QuickBooks Online Plus subscription through ASAP for $33.75 a month, and a QuickBooks Online Essentials subscription through ASAP for $22.50 a month. Best of all, when you purchase a QuickBooks Online subscription through ASAP, you don't lose anything. In fact, you gain a whole lot for a better price. You receive the same access, support, and features of QuickBooks Online that you would normally receive through Intuit. In addition, you get access to ASAP's resources, friendly support staff, and knowledgeable accounting and payroll teams. TechSoup is non-profit organization dedicated to providing technology solutions for other non-profits. According to their website, TechSoup's mission is: "...to build a dynamic bridge that enables design and implementation of technology solutions for a more equitable planet." TechSoup provides non-profits with discounted access to various hardware (refurbished laptops) and software (Microsoft Office, Microsoft Windows, Adobe Acrobat, Symantec Security, QuickBooks Desktop, and QuickBooks Online). TechSoup provides a great QuickBooks Online subscription for non-profits. They offer a non-profit QuickBooks Online Plus 1-year subscription for five users for a one time payment of $50. You can review the offer Here. Be sure to read through the description; subscription details; and rules, eligibility and restrictions to see if your organization qualifies. You can renew this subscription on an annual basis with Tech Soup's $50 subscription renewal plan. Review the renewal plan Here. Non-profits who are already have a QuickBooks Online subscription can reap the benefits of TechSoup's QuickBooks Online subscription, but it is a little trickier. TechSoup's QuickBooks Online subscription is intended for non-profit organizations that do not already have a QuickBooks Online subscription. If your organization obtained a QuickBooks Online subscription outside of TechSoup, you will need to export your data from QuickBooks Online back to QuickBooks Desktop, cancel your existing QuickBooks Online subscription, request TechSoup's subscription, activate the subscription, rebuild your company file in QuickBooks Online, and re-import the data back into QuickBooks Online. Does that sound like a headache? If you don't want to deal with that, remember that ASAP provides a discounted QuickBooks Online subscription rate for non-profits and we would be happy to show you how you can keep your file on QuickBooks Online and still save money. 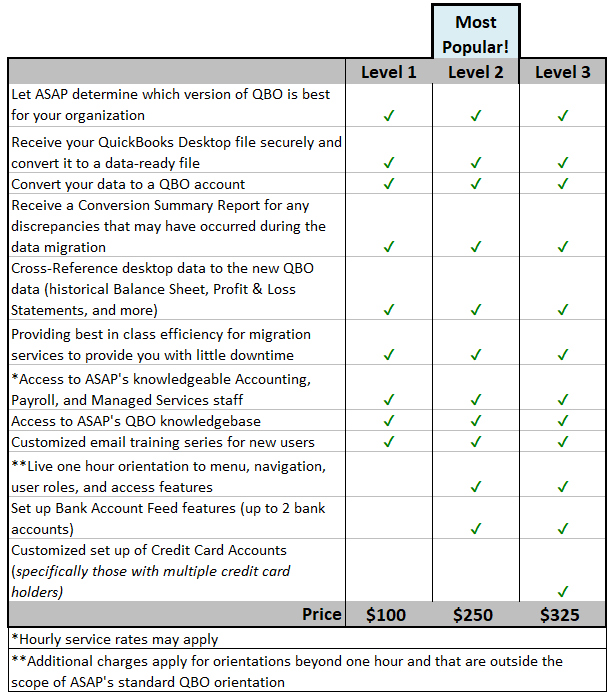 If you're interested in using TechSoup's QuickBooks Online subscription but you're already using QuickBooks Online, ASAP can always help you with the migration process listed above to ensure you're saving as much time and money as you can for your non-profit organization. Feel free to give us a call, send us an email, or chat with us online.